Our range of products include ceiling boards - ventilated and cement ceiling tile. it is a fiber cement product with air ventilation spaces to make the exterior roofing ceiling or to cover the OTIS . As a quality-oriented organization, we are focused to provide our clients excellent quality range of Cement Ceiling Tile. Used for ceiling, this ceiling tile is manufactured utilizing supreme class raw material and modern techniques following the set norms of market. The offered ceiling tile is available in varied specifications and can also be customized as per the needs of clients. 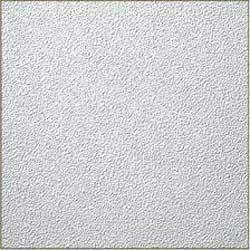 Our ceiling tile is valued among customers owing to its smooth and perfect surface. Looking for Cement Ceiling Tile ?